[Vancouver Sun] Global aviation is on the runway to earn higher profits from a further increase in passengers in 2013 after demand grew by 5.3 per cent last year and planes flew with near record level of seats filled, an industry association said Thursday. The International Air Transport Association (IATA) also said cargo demand fell for a second consecutive year, dropping 1.5 per cent amid a weak global economy. Passenger demand was below the 5.9 per cent increase set in 2011, but above the 20-year average of five per cent, while load factors for the year were near record levels of 79.1 per cent. “We are entering 2013 with some guarded optimism,” stated IATA chief executive Tony Tyler, noting a more stable Eurozone and the U.S. avoiding the so-called fiscal cliff. Fuel prices are expected to continue rising and GDP growth is forecast at just 2.3 per cent, but improved business confidence should help cargo markets to recover lost ground from 2012. “2013 will not be a banner year for profitability, but we should see some improvement on 2012,” he added. IATA expects global airline profits will increase to US$8.4 billion this year, from an estimated US$6.7 billion in 2012. However, net profit margins are low at around one per cent. Canadian carriers Air Canada and WestJet Airlines are expected to enjoy improved profits, say industry analysts. Chris Murray of PI Financial says Air Canada’s pre-tax operating income (EBITDAR) should surge 48 per cent to $240 million in the fourth quarter. He expects the Montreal-based airline will earn $22 million in fiscal 2012, rising to $172 million in 2013 and $198 million in 2014. “We expect fiscal 2013 should continue to see ongoing improvements in earnings with strong traffic demand and stable fuel prices,” he wrote in a report. Calgary-based WestJet is expected to see its earnings increase to 43 cents per share in the fourth quarter and $1.75 per share for the year, up from 26 cents and $1.06 per share respectively, said Jacques Kavafian of Toll Cross Securities. “The big story at WestJet will be 2013 and 2014 with the introduction of premium economy and fare bundling, both initiatives, we expect to make significant earnings contribution,” he wrote. 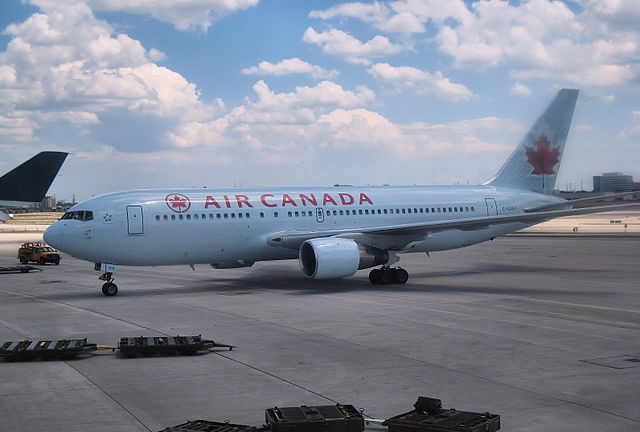 Read the full story at The Vancouver Sun…..
A sleepy Air Canada pilot who mistakenly believed his jet was about to crash into a US military plane forced a sudden dive that caused 16 injuries among passengers and crew on a transatlantic flight, a report says. The Transportation Safety Board report released on Monday describes the 46 seconds in which the plane dived and lurched back up during an overnight Air Canada flight from Toronto to Zurich in January 2011. Those hurt weren’t wearing seat belts, the report said. According to the report, the plane’s first officer was napping during a rest period aimed at combating pilot fatigue when the captain’s report on their position woke him. At the same time, a US Air Force plane was approaching about 300 yards below. That set off cockpit alerts, which the captain mentioned to the first officer. The “confused and disoriented” co-pilot at first mistook the planet Venus for the approaching plane, the report said. When he did spot it, he thought it was coming straight at them. He overrode the autopilot by forcefully pressing on the control column, pushing the jet into a dive. Fourteen passengers and two flight attendants among the mostly 103 sleeping people aboard slammed into parts of the plane, getting cuts and bruises. The captain regained control as the US military plane passed safely and returned the plane to its cruising altitude. “This occurrence underscores the challenge of managing fatigue on the flight deck,” Jon Lee, the investigator in charge, said in a statement. Seven of the injured were treated in the hospital on arrival in Zurich three hours later…. “Qatar is of course interested in forging even closer ties with Canada but we are struggling with being granted additional landing rights,” he said in comments pubished by Canada’s Globe and Mail. Already, the three weekly flights launched last June are running ahead of expectations and travelling 85 percent full, he said. He added that that Qatar’s expansion efforts were not designed to undermine Air Canada, which has previously opposed any additional flights from Middle East-based rivals. 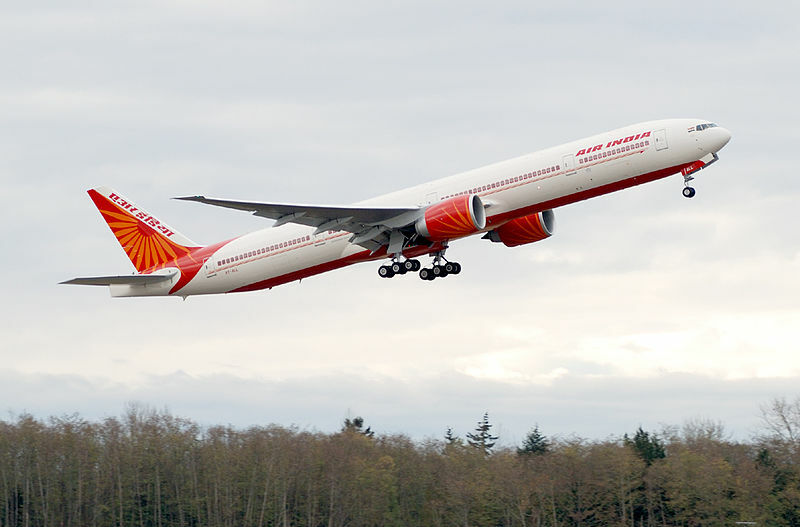 The Canadian carrier has complained that the partially state-owned Middle Eastern carriers benefit from an unfair advantage. “Air Canada should not get worried of competition. Competition makes other airlines very strong,” Al Baker said. Montreal is Qatar’s fourth North American gateway, in addition to Houston, New York and Washington. Last month, it was reported that relations between Canada and the UAE were back on track following a spat over airline landing rights two years ago. Relations between the oil-rich UAE and Canada deteriorated rapidly after Canada’s transport agency refused to give Gulf carriers Etihad and Emirates new landing rights. Read the full story at Arabian Business News…. Air Canada has cancelled dozens of flights as pilots call in sick in an apparent protest over a labour row. An intervention in the dispute last month from Canada’s government, that in effect banned any work stoppage, angered a number of employees. As of Friday morning, at least 30 flights had been cancelled across major airports in Canada, mostly in Toronto, reported CBC News. The Air Canada Pilots Association urged its union members to report to work. Air Canada spokesman Peter Fitzpatrick told CBC News a higher number of pilots than average were calling in sick. But overall, he said, it was a “small group that has decided to engage in this illegal activity”. The airline runs an average of 1,500 flights a day. 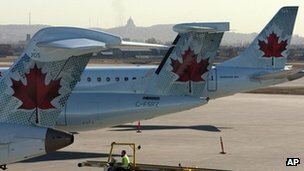 The industrial dispute is one of several Air Canada has had in recent months. A wildcat strike by baggage handlers and ground staff on 23 March led to delays and cancellations. Air Canada Pilots Association official Captain Jean-Marc Belanger wrote to pilots on Thursday calling on them to report to work, regardless of the current dispute. Capt Belanger said healthy pilots calling in sick could face fines under the recently passed Protecting Air Service Act, which forbids unions to strike if they are in arbitration. In March, Labour Minister Lisa Raitt intervened in the contract talks, referring the company and union to the Canada Industrial Relations Board. Read the full BBC News story…. 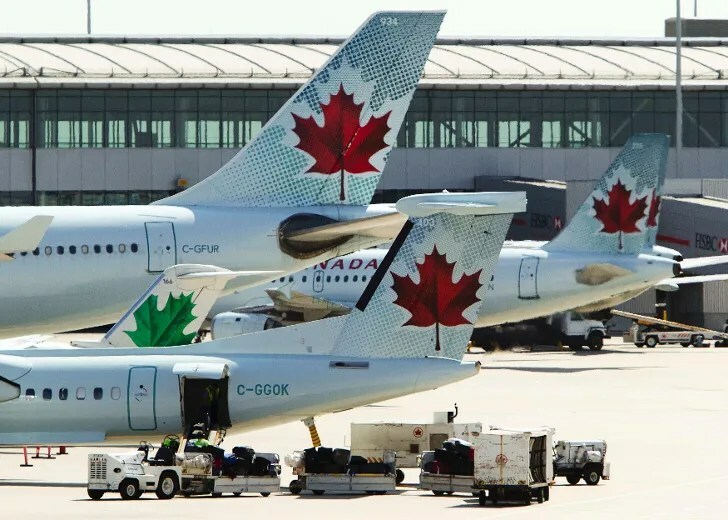 (Reuters) – Canada’s airlines flew fuller planes in March, a busy travel month in Canada, despite labour unrest at Air Canada and higher fares at rival WestJet Airlines. Air Canada’s load factor – the percentage of available seats filled with paying customers – rose to 81.5 percent last month, from 79.5 percent last year. Traffic rose 4.8 percent, while capacity increased by only 2.2 percent. The airline’s services were disrupted in March when its maintenance workers staged a brief wildcat strike, shortly after the federal government stepped in to avert a simultaneous strike and lock-out of maintenance workers and pilots respectively. WestJet, Canada’s No. 2 airline, said its load factor rose to 86.2 percent last month from 84.8 percent in March 2011, as demand remained strong despite fare increases. The airline flew nearly 104,000 more passengers this March as a 9 percent increase in traffic across its routes outflanked a 7 percent rise in capacity. “We are very pleased with the market strength we’ve seen in March and system-wide demand remains healthy,” WestJet CEO Gregg Saretsky said in a statement. March is typically a strong travel month as schools close for a week or two for spring break. Shares of Calgary, Alberta-based WestJet closed up 2.0 percent at C$13.62 on the Toronto Stock Exchange on Wednesday. Air Canada, which reported traffic after the close, fell 1.1 percent to C$0.90. Privately owned regional airline Porter said it set a record March load factor of 59.8 percent in March, up 10.2 points on the year. The rise comes on the back of its development of seasonal leisure routes and a passenger base that travels year-round for business, Porter CEO Robert Deluce said. Read the full story at reuters.com….